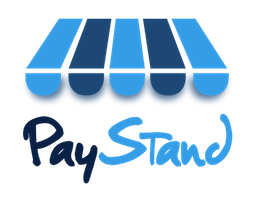 After signing up with PayStand (directly or with a partner), there are a few simple steps to fully enable your account. The first step to take is to verify your bank account with two drop deposit. Follow the alert in the Dashboard to enter your bank account and routing information. This is where your payments will be deposited. Once the bank account information is entered, two small deposits will be sent to your account. This may take 1-3 business days. Once the deposit has been sent to your account, note the amounts and enter them in the dashboard. This will mark your account as verified and let us know you own the bank account. Once this is done, you are ready to accept all payments and begin initiating deposits. After your bank account is verified, the next step is to enable the eCheck payment method. This can be done in your Dashboard and will allow you to being accepting eChecks. The next step is to embed the payment button on your website. Simply copy and then paste the code provided on your dashboard to your website. This will allow your customers to complete the checkout process. Once a successful payment has been made and cleared, you may initiate a withdrawal to your bank account via the Dashboard.